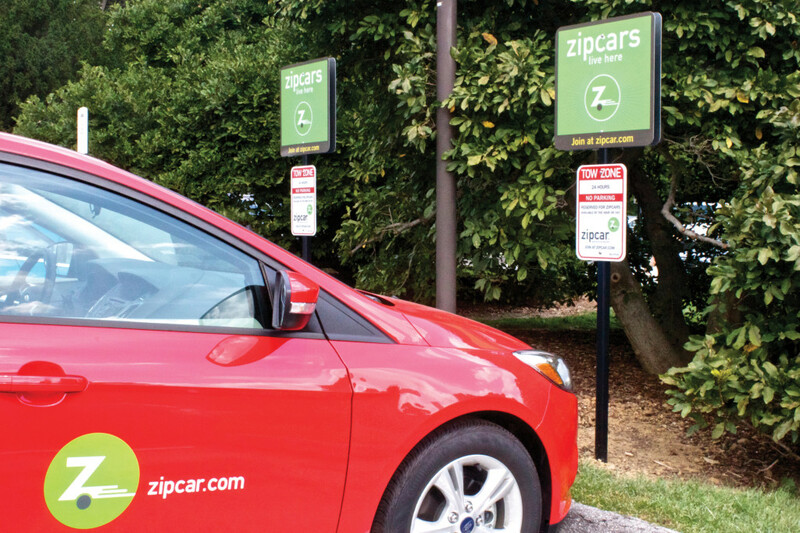 Zipcars are coming to Swarthmore this semester amid other changes to transportation policies. Zipcar is a car share program that enables registered members to reserve cars online. The cars must be returned to their reserved parking spot in Benjamin West parking lot once the reservation time is up. The two cars currently available at Swarthmore are a Ford Focus and a hybrid Ford C-max. The program costs are set by Zipcar, and the college does nothing more than provide two parking spaces. This year, Swarthmore College members can join for $25, with rates for Zipcar vehicles on campus starting at $7.50 per hour and $69 per day. After the first year, members will pay an annual membership fee of $35. Gas, insurance, and up to 180 miles of driving per day are included in Zipcar rates, and cars can be reserved for an hour or up to multiple days. Laura Cacho, the recently appointed Director of Sustainability is one of the people involved in getting Zipcars to campus after having used car share programs with success herself. The college decided to partner with Zipcar for a number of reasons, including its large number of vehicles, over 10,000, and its age eligibility requirements. Some students are skeptical that two Zipcars will aptly serve the college’s large community but Zipcar is open to the possibility of adding more vehicles if they feel the demand is high enough. There is currently no defined time limit or member limit on the program. “Our brand promise is “wheels when you want them” for our members. In keeping with this, we ensure to add additional vehicles based on consistently monitored utilization and reservation rate so a Zipcar is there to meet the needs of students, faculty, staff and community members,” CJ Himberg, a representative of Zipcar, said over email. While the Zipcar program offers a new way to get outside of the Swat bubble, Dean of Housing Rachel Head, believes that previous transportation policies such as those involving the shuttles and the SEPTA ticket program need to be reevaluated. Amongst other transportation policies, Cacho is also investigating whether a vanpool or ridesharing program would work for some staff and faculty at the College and is interested in expanding the Bike Share program depending on student interest.